Thank you to everyone who entered our photo competition. There were so many great photos of Dads (& Grandads) wearing babies in baby carriers entered! I’m very glad the winner was drawn randomly as if I’d had to choose just one I would have had a very hard time choosing an absolute favourite! Ally entered an image of her son William at 19mo in a back carry with his Daddy. Congratulations Ally! To view all the fantastic entries visit the New Zealand Babywearing Week Facebook page and click on the photos tab on the left under the page avatar. Thanks again to everyone who entered and Happy Father’s Day! 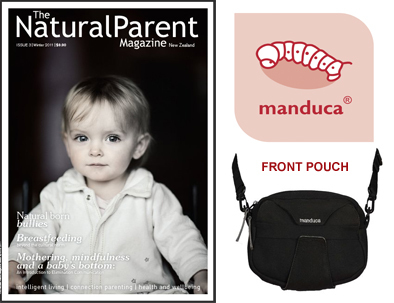 This entry was posted in Giveaways and tagged babywearing, Father's Day competition, Manduca front pouch, The Natural Parent Magazine. Bookmark the permalink.